What a way to start the weekdays! Yeah, I finished reading this on Sunday – a day before the storm (Because Monday means going back to work). When I started reading this series, I really didn’t think I would end up getting so addicted to it. And every time Jay McLean publishes a new one, I fall in love just a bit more. The writing definitely improved. The angst. The drama. The characters. The plot. How she interconnected the characters is beyond my intellect. I just love everything about it. I love how she weaves her stories, how she adds twist to characters I’ve known since ‘More Than This’. Her characters are by far one of the funniest I’ve read so far. Seriously? How does she come up with those jokes and funny lines? I’m in awe of her, not just because she is a Filipino, but because her books reaches the deepest recesses of her readers’ hearts. 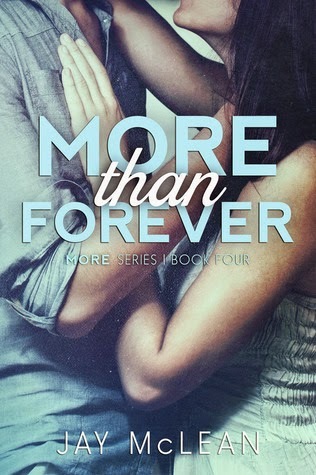 More Than Forever covers the story of Lucy Preston and Cameron Gordon. I know we read them in passing from the Book 1 to 3 and they were pretty grown-ups in those books. This book tells us how they started as a couple. What struggles they had to endure. How they fell in love with each other. Their story started when they were fifteen. Cameron, a baseball player back then, and Lucy, barely surviving the strains of having to watch over her brothers while her mother, who was diagnosed with the big C, was just awaiting her last days. He noticed her while’s so engrossed in her e-reader. After learning what her family was going through, he decided to step in and help her, no questions asked. Maybe I could be her calm. I want to be her calm. I also love Lucy’s dedication towards her siblings. Without her, I don’t think their family would have survived her mom’s death. She became a mother and a father, when hers forgot to function. She became their rock. But she doesn’t have anyone until Cameron appears. I feel like Cam was an old soul. I respect him so much for what he has done. He doesn’t have to help but he did, not because he wanted to get in Lucy’s pants, but because he just wants to. He wanted to take some the weight on her shoulders. His intentions were pure. And because was frequently in Lucy’s house, even the boys accepted him. They saw him as their big brother and they look up to him like a super hero, especially Lachlan. "I love this time of day." "Yeah. You wanna know why?" I nod against his chest. I just love the innocence of the teenage Lucy and Cam. Theirs was a love brought by fate. A love that can withstand even the strongest storms. A love deeply rooted in their hearts that they don’t even have the change escape because they were bound to be together forever. They were each other’s first. They were adorably cute even when they messily sated their teenage hormones. I love how they grew up and achieved their dreams together. And whatever happiness they have now, they truly deserve it. They have hurdled a lot problems that even married couples don’t have. Realizing everything they have gone through, I just can’t help but sigh. Lucy and Cam has a relationship that was built in a robust foundation that whatever or whoever comes in between their relationship doesn’t stand a chance. What I love about Lucy was that she was a reader. Oh hell, a heck of a reader. 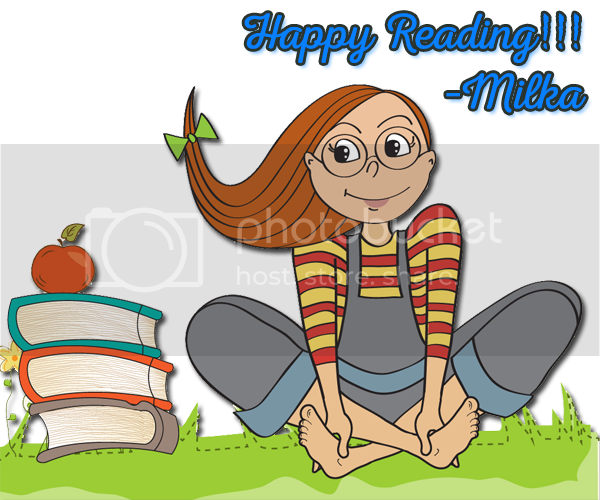 The type who just shuts everything out when she reads – like she won’t hear or see you because she’s so engrossed in her book. Or someone who could just laugh, or smile or cry because that’s what she feels. I can relate to her obviously because that’s how I am usually when I’m reading a good book. She’s funny and I cute way. She’s crazy when she’s drunk. Cam kind of loves that she’s reading smutty books because it benefits him. LOL! Why not? Every time she reads one, she practices it on him. Cameron, on the hand, is the most perfect boyfriend ever. He has come a long way because he was able to read Lucy so well, that he can even read through her body language and lies. It takes a lot to make him mad. If he was my boyfriend, I would find it infuriating how he just laughs it off if I get jealous or mad. But in a way, it’s also charming. I love how he accepted and loved Lucy’s family, how he stood up to Tom (Lucy’s dad) when he got worse, how he takes her family into consideration when he makes decision, how he loves his mom, and how he interacts with his step dad. Mark and Cameron. I love their rapport. Their quick-witted bantering was hilarious. It’s as if they’re more than brothers rather than a father and son. Cam is so lucky to have him. Lachlan is a darling. I reckon, he’ll be breaking a lot of hearts in the future. He’s a riotous little kid whose antics I find very amusing even if it shouldn’t gain any interest because it’s inappropriate. Lucas. I love this little guy, although he’s not that little anymore. I love how he cares for his sister. He’s a little mature for his age, but with what they’ve experienced, I think it’s a given. Heather. She’s Cam’s mom. I admire this woman because she never judged or belittled what Cameron and Lucy has. She’s so supportive and she has a very big heart to accept and help her and act as her mother when she has none. The short stories from Lucy Lovesalot and Cameron Lovesyoumore. I want to share it with you guys because it’s so touching. This is a story of a boy, and a girl, falling in love. Or at least it should be. But it's more than that. It's a story of a boy and a girl who fell so hard in love that love was the only thing they knew. And for so long, that love was enough. That love was their everything. They shared their dreams, their hopes, their plans for their future. They shared it all, and in doing so, they gave themselves each other. Not just in the physical sense, but in all the other senses possible. Then one night, after sharing their most intimate possession, the girl got scared. She worried that maybe someday the boy would not be there, and this broke the girl's heart. "You're wrong," the boy told her. And then he proceeded to tell her his thoughts, his dreams, and what he envisioned for their future. Kids. He wanted a perfect little house, with his perfect little wife, and their perfect little kids. And the girl—her heart swelled at the thought of it. Not just of their future, but of their now. And the eternal love the boy showed for her. And then one day... it was over. They shed a thousand tears, over and over. And when it was done, they shed a thousand more. Now, the boy is still there. Still watching her. Still waiting. With their dreams of the future broken, he waits. But the girl is scared. The girl can't let her heartbreak belong to both of them forever. Because one day, she believes, this boy will build a time machine. He'll go back to the past, to where it began, to where their love was all they needed. Where they could imagine their future, and a house full of their children. He'll want to go back to the boy, falling in love with the girl. And to the girl that could give him his dreams. He'll want to stay there forever, in a life that was simple, and the only thing that mattered was love. But here they are, stuck in the present, wondering how to move forward. The girl thinks, and feels, and thinks some more, no matter how much it hurts her. But she doesn't have the answers. So one day the girl builds a time machine, but she doesn't join him in the past, she goes to the future. To where she sees the boy she fell in love with many, many years ago. And she sees his sadness. She sees him look into the room he designed just for her. She sees the frown that pulls on his lips when he glances at a single armchair. She sees him watching his friend's kids at little league, and wondering to himself what he did in life that was so wrong that he couldn't have that. Then she sees the way he looks at her, with so much held in regret, and sadness, and anger, because he couldn't have any of it. And one day, that regret and sadness and anger—they turn into hate. And the love they once had, the love that made their world spin, has turned into hate. So there they are; the boy in the past, falling in love with the girl. And the girl in the future, with the boy that can no longer love her. "More Than Forever By Cameron Lovesyoumore"
Once upon a time there was a little boy whose mother made him watch Aladdin—more times than what should be legally allowed for boys. Yet each time, he'd sit with her, under her magic carpet blanket and watch intently, because he knew it made her happy. It was a story about a boy named Aladdin—a poor boy—who found love in the strangest of places. He fell in love with a girl, a princess, living in a giant castle, filled with many, many people. Mainly boys. This girl had no mother—or at least one that he could tell. And even though people surrounded her, she was lonely. She was sad. The only thing that he found she had comfort in was her pet tiger that she took everywhere. In my story, her tiger is an e-reader. Or at least he tried. After a few hundred times of watching this movie, the little boy turned to his mother and asked, "Why wouldn't the genie just give him more wishes?" His mom smiled down at him. "Because," she said. "It's selfish to want more than you already have." The little boy spent night after night thinking about his mother's words. And he promised then, to always appreciate what he had. What was given to him. And to never want more. But then this boy, a little older now, and definitely more handsome and rugged, fell in love with his own princess, who was sad and lonely in her huge mansion. And even though his mom's words played in his head, he couldn't help but want more. He wanted more of her, tiny versions of her, in the form of their daughters. Now, that boy is a man—again, even more handsome. And he sees the selfishness of his ways; his want to have more of something he already had. Something he was blessed to be given in the first place. So for days and days this man searches for the genie, trying to find a way to make his wishes come true. And he promises himself that if he finds that genie, and the genie offers him three wishes, he'll say what he should have said a long time ago. "You can keep your two wishes, I'll just take the one. I want my girl, Lucy. My forever. 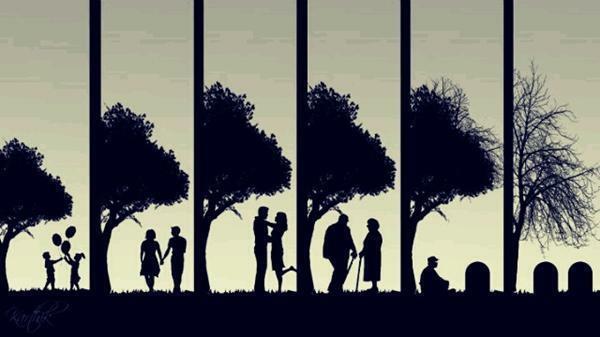 And not just for our forever, but for eternity, and for always." And how could I forget the poignant message of Lucas to Cameron. It was so sweet and it just shows how much he values the role Cameron played into their loves. "You said that you were reading her. You said that you liked to know what it was that made her smile, or made her laugh, or got under her skin. I asked you why you didn't just ask her—that it would be so much easier. Do you remember what you said?" "You said that it wasn't the same. You said that you could ask her what made her happy, and she could say books—but the answer wouldn't be enough. You told me that you wanted to know what type of books, and that you wanted to be the one to give them to her. And even then, you said, it still wasn't enough for you. You said that you wanted to be her reason for loving books. You said you wanted to be her reason for everything." I can’t think of anything more to add. Just that I love it and I’m so so excited as to what this author can still offer to her readers. She kind of mentioned a “More Than Enough” book and I’m instantly intrigued. Whose story is it gonna be? Heidi and Dylan? Or is it about Lucas? Seriously guys, this is a must read book and I highly recommend it to you. Jay McLean is the author of the More Series, including More Than This, More Than Her, More Than Him and More Than Forever. She also has two standalones coming soon titled The Road, and Combative.